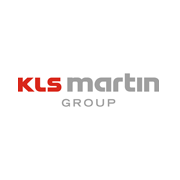 The KLS Martin Group was founded in 2004 as an umbrella organization representing the following independent, medium-sized companies: Gebrüder Martin GmbH, Karl Leibinger Medizintechnik, Rudolf Buck, Stuckenbrock Medizintechnik, KLS Martin and KLS Martin USA. The group of companies as such, however, was founded much earlier. Back in 1923, at a time marked by galloping inflation, five enterprises from the Tuttlingen area decided to join forces in order to strengthen their international competitiveness through a joint sales company, Gebrüder Martin GmbH. A successful move. Nowadays, the Group is represented by sales partners in more than 140 countries. In addition, it has its own sales subsidiaries in Great Britain, France, Italy, The Netherlands, Japan, Australia, Brazil and Malaysia and maintains representative offices in Russia, China and Dubai. 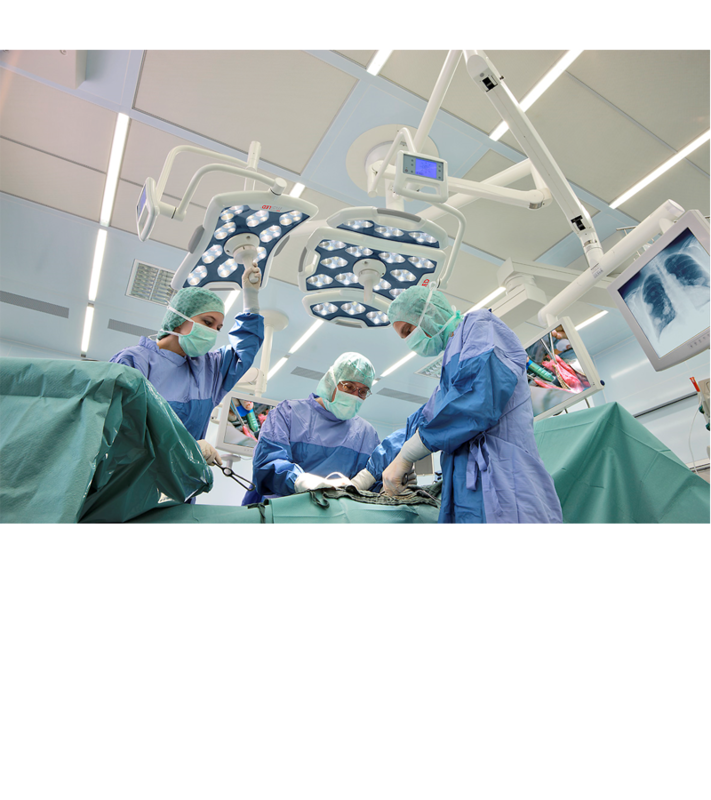 In a nutshell: The original group of surgical instrument manufacturers has matured into a globally leading supplier of medical technology solutions for almost all surgical fields - and a trailblazer in the industry as well. The operation starts. The light is turned on. It’s easy to set. Color temperature can be adjusted as needed. Even the light field geometry can be adapted to match the operating field. And there are no disturbing color shadows at all  because the light is mixed at the source, right inside the light engines. All this is part of the performance provided by KLS Martin operating lights  and much more. 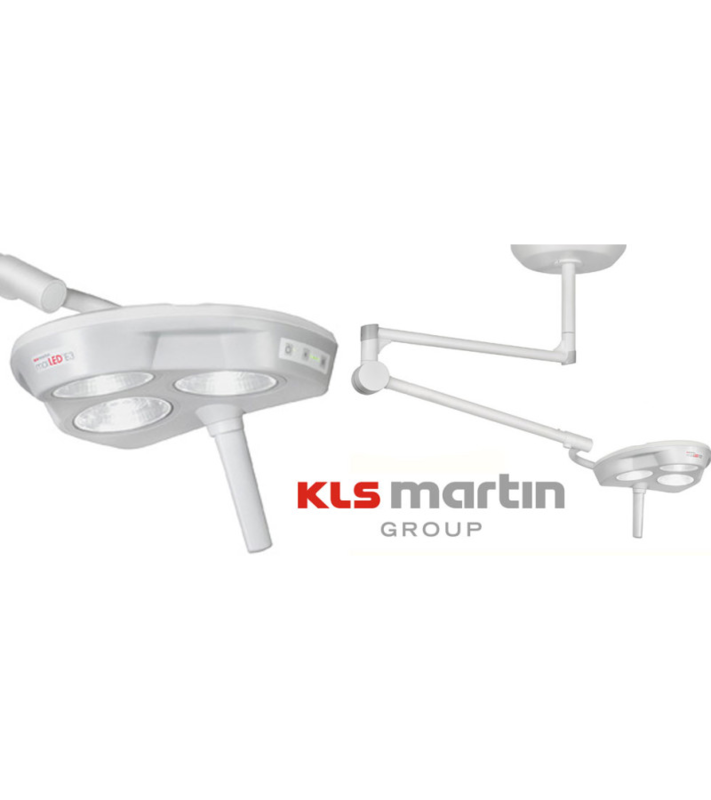 For more than 50 years, KLS Martin has been setting the course for electrosurgery again and again: Many of our developments have made a lasting impression on high-frequency surgery. This applies not only to HF generators, but to the extensive range of accessories as well. 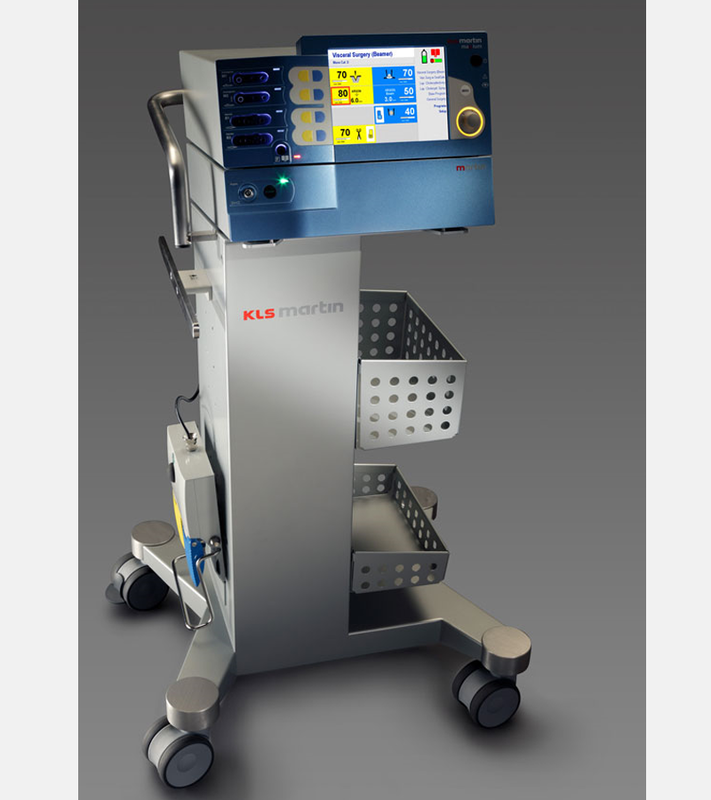 The innovative HF surgery units from KLS Martin are setting new standards - all over the world. This is explained not only by their remarkable performance and features, but also by the fact that we offer you a truly extensive range of products: from special HF devices for dentists through units for minor and major private surgeries and outpatient departments to high-end devices for use in operating rooms - practically everything required for state-of-the-art medical treatment. Our wide range of HF accessories is among the most comprehensive offers you'll find on the world 's markets. In bipolar HF surgery, in particular, we are a global leader thanks to trailblazing products. 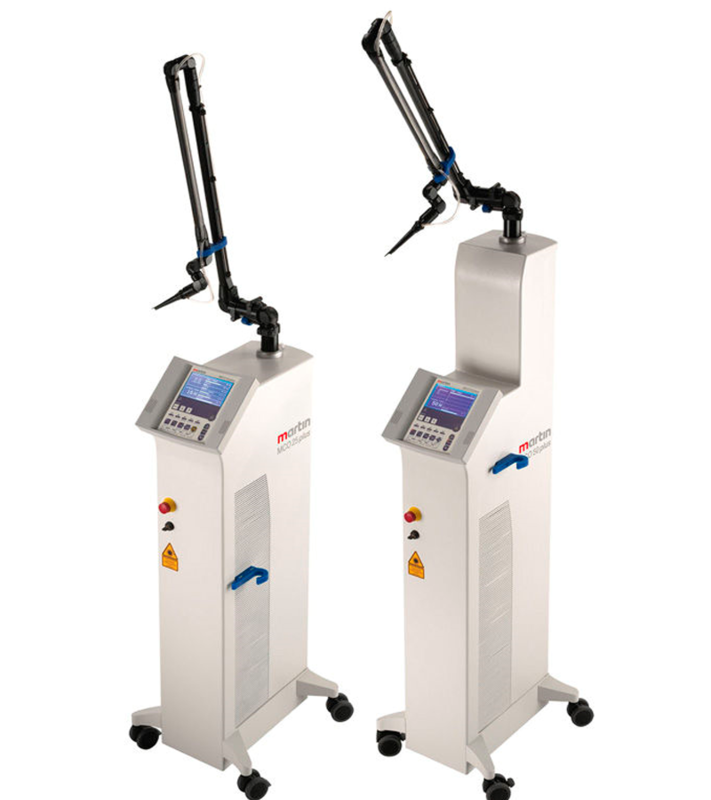 The development of the first KLS Martin laser systems dates back to the early nineties.Today, the Group is a recognized partner in the field of laser surgery, with KLS Martin lasers representing an indispensable part of any advanced operating room. 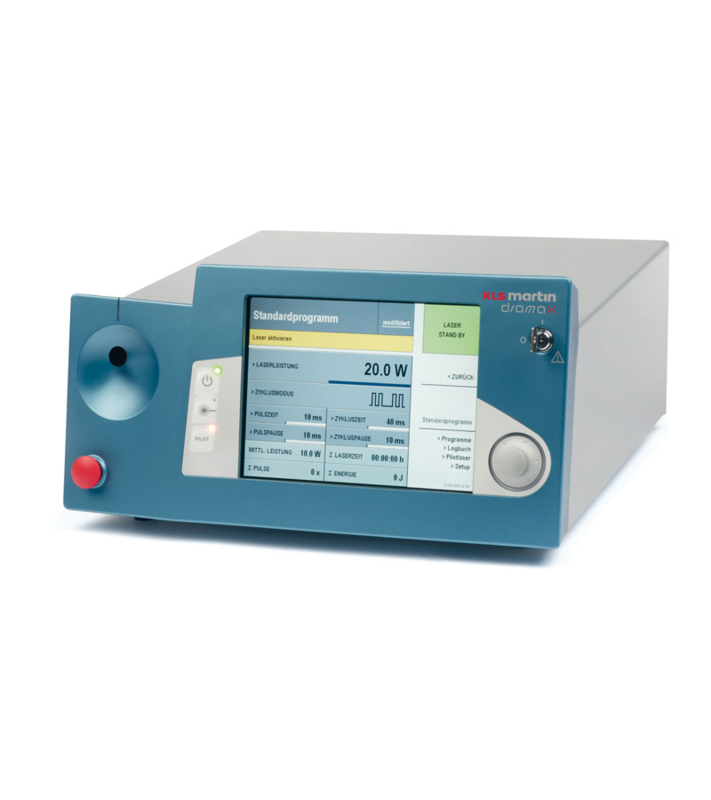 Our product range comprises powerful diode-pumped Nd:YAG lasers, CO2 lasers and diode lasers. 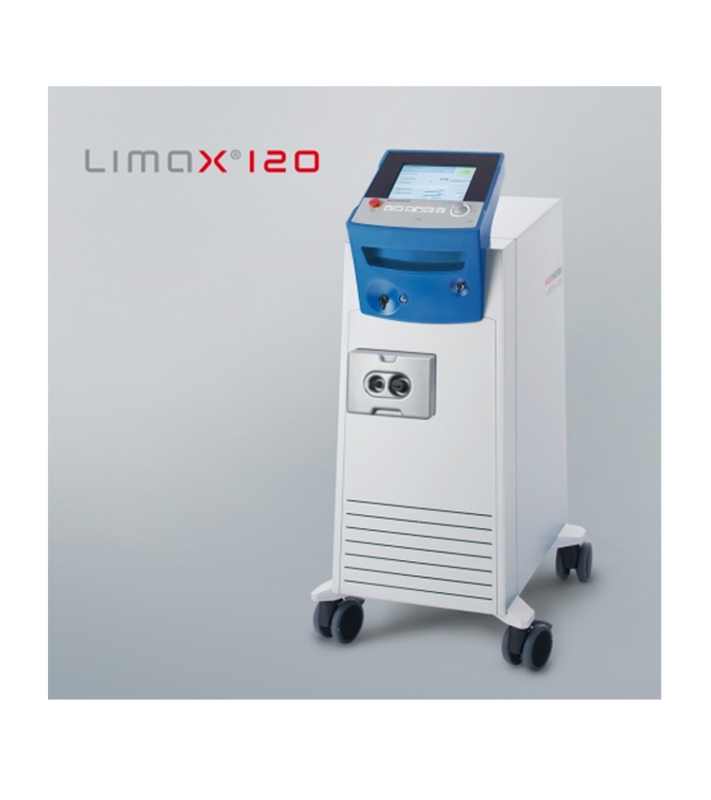 Extensive experience, dedication and a distinctly inventive mindset are the drivers behind the highly innovative KLS Martin systems for laser surgery. "Making operable what was previously inoperable" - this is the motto that guides our development efforts, day after day.